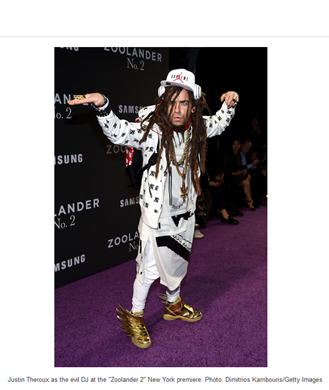 The Premiere of the highly anticipated Zoolander 2 kicked off with a Runway Show featuring many HOT designers latest clothes including Derek’s favorite La Maison De Valentino. Ben, Owen, Will, Penelope along with Gigi Hadid Lineisy Montero & a few others, hit the Runway prior to the Premiere at Lincoln Center in NYC. Skrillix provided the Bangin’ Beats for the Movie & Model Star studded Runway. They wore some of the World’s favorite designer brands including: Valentino, Alexander Wang, Marc Jacobs, and Tommy Hilfiger. The Evil DJ is really Justin Theroux! Below are some more pix from the event all courtesy of Instagram. How bout’ Kendall Jenner nailing the infamous look! All of this blog posting is about the festivities prior to the movie. Wonder how the movie was? And I sure bet the after-party was spectacular! Oh, I so much would have loved to be at this. Shoulda’ put it on my bucket list. There’s Still Zoolander 3, I still have chance! Have a nice rest of the week! See you on the Streetz of HI.